Early Morning - For Primary and Elementary children who arrive to school before regular classroom hours. 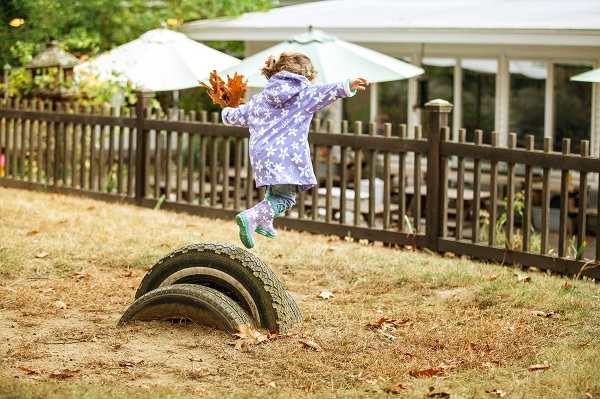 Younger children play quiet indoor games and older students have the option of spending time outdoors until it is time to transition to their classroom. The younger children are brought to their classrooms by the elder Elementary students. Nappers - Toddler children who stay for an extended day will share lunch in the classroom then a quiet rest period. The Nappers program for Primary children includes lunch in our Nappers Room followed by story time, quiet music and rest. Primary children return to close the day in their classroom unless they are staying for Late Day. Late Day - Our Late Day Program is open to current Primary and Elementary students, from 3:15-6:00 pm daily. This program offers active play, nature exploration, sports, art projects, music, cooking, and social interaction, with a neighborhood feel. After School - The Montessori School offers a variety of specialty classes throughout the school year for current Full Day Primary and Elementary students.